KL Delight Seafood focuses on authentic KL seafood and showcases the unique flavours of Kuala Lumpur zi char. 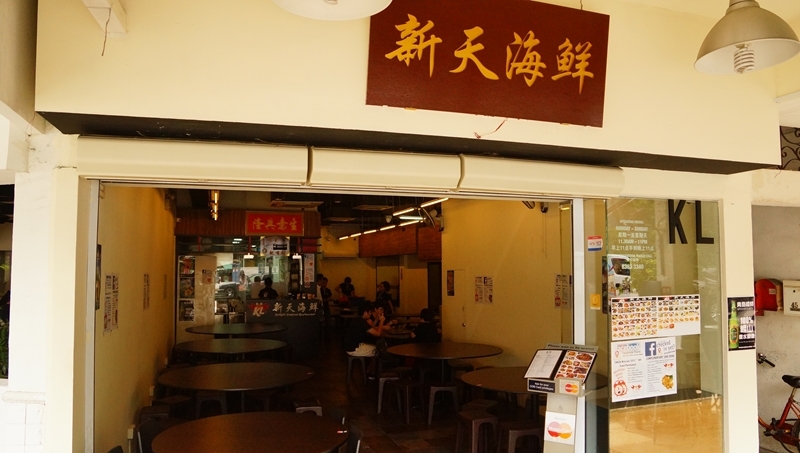 KL Delight Seafood is not a newbie in the food arena, it started its old establishment in a coffeeshop at Toa Payoh Lorong 4. In 2016, KL Delight Seafood decided to move to an air-conditioned restaurant along Geylang Lorong 27 to provide the diners with a more comfortable dining experience. The new restaurant is clean with ample space to accommodate groups of different sizes. 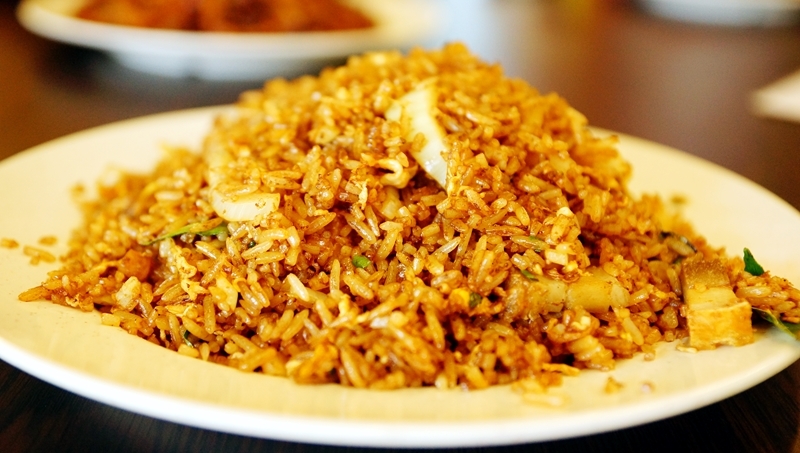 “Wow…nice.” was the first exclamation from my son as he had his first spoonful of the KL Kampung Fried Rice. The fried rice was packed with charred flavour, we especially love the crispy and flavourful roasted meat and the salted fish that elevated the overall flavour. It was just mouth-watering. This is a dish one should not miss. We are not so much a fan of KL Hokkien mee and have not tasted a real good KL Hokkien mee in Singapore so far. Having said that, the Hokkien mee here was surprisingly good, from the texture of the noodles to the perfect sweetness and the savoury hint from the copious amounts of pork lard added. 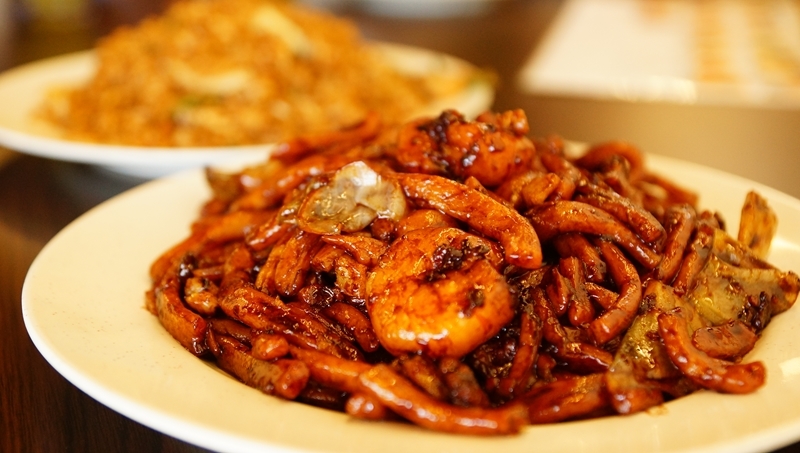 Another nice dish for fans of KL Hokkien mee. 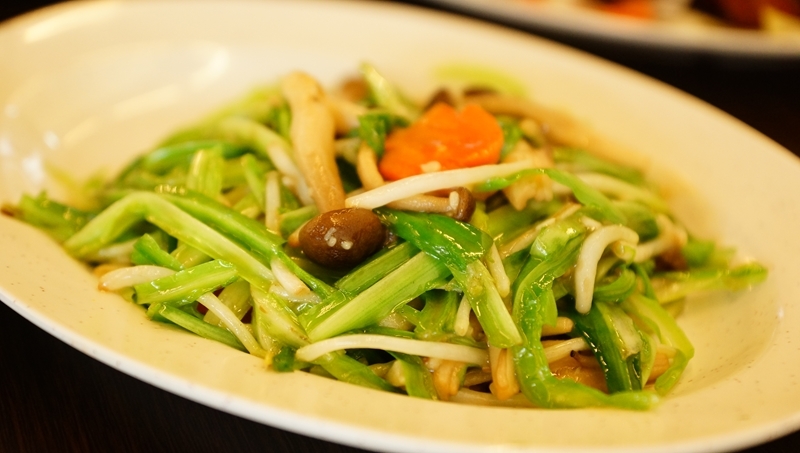 Qing Long Cai is getting more and more popular in Singapore with its sweet, fragrance and pleasing texture, one of our favourite veggies and KL Delight Seafood has not failed us. From the countless of salted egg diced chicken dishes we had tried so far, this is the second time we truly fell in love with it. 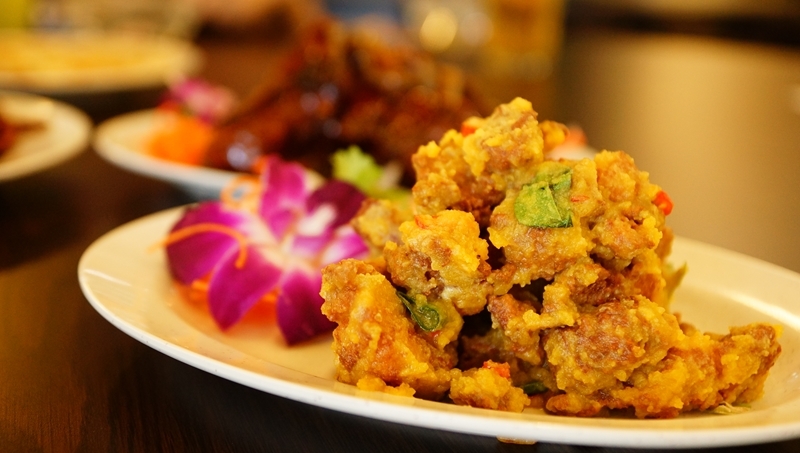 The salted egg chicken is smothered with genuine salted egg, the heavenly flavour of the golden lava-like condiment instantly sets your eyeballs rolling in bliss. Highly recommended. A new dish yet to be added into the menu. The pork ribs were meaty and tender, every inch of the meat was infused with the coffee aroma. An unique creation dish that hard to find locally, the Mantis prawn was wok-fried with minced garlic and chili powder. This was extremely addictive. 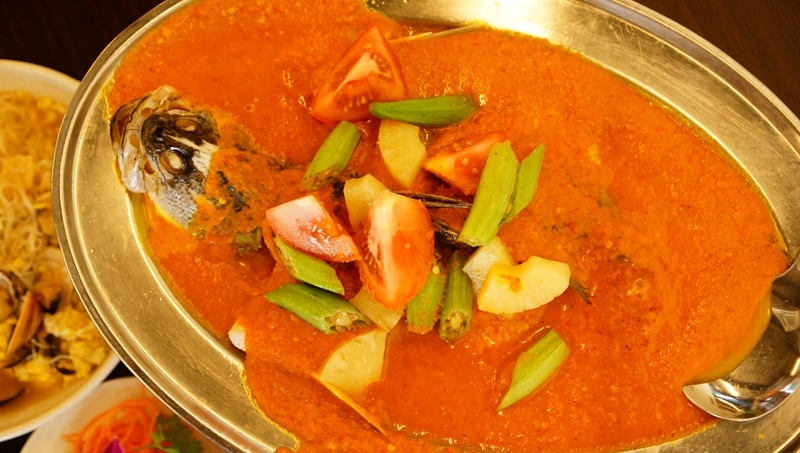 Fresh sea bass cooked in the assam Nyonya style, it is a potent combination of sour and spicy with hints of sweetness. This neat homey dish is laden with umami. 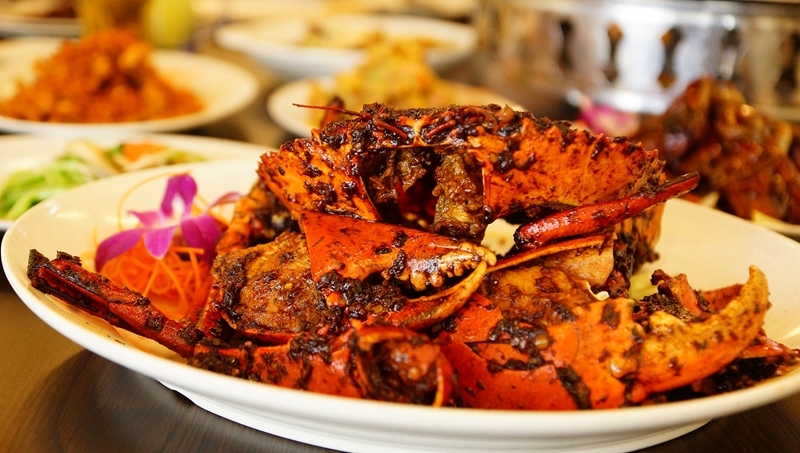 KL Seafood Delight offers many styles of preparation for their crabs. We decided to try something different and opted for the Malaysia Kam Heong crabs. Kam Heong is literally translated to “sweet and fragrant”, the seasoning was slightly on the sweet side with hints of savoury spice from the dried shrimp and other ingredients. 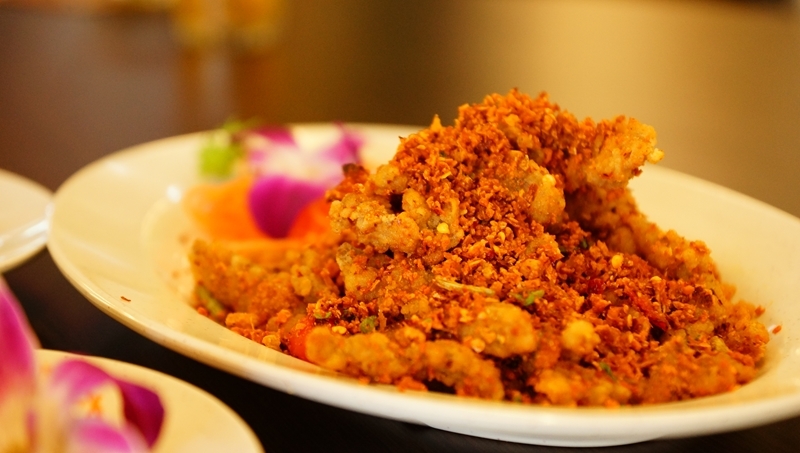 If you are bored of black pepper crab, Kam Heong crabs may be a good alternative. 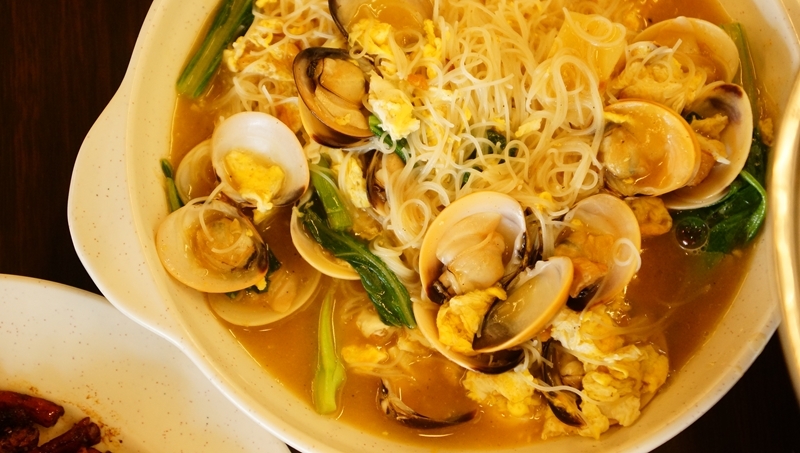 KL Delight Seafood uses big premium la-la for the mee hoon, the sweetness of the la-la melds together with the stock to intensify the flavour and the result is a salivating dish that highly satisfying. At KL Delight Seafood, you’ll find unique and different flavours of Kuala Lumpur zi char created by the Malaysian chefs. 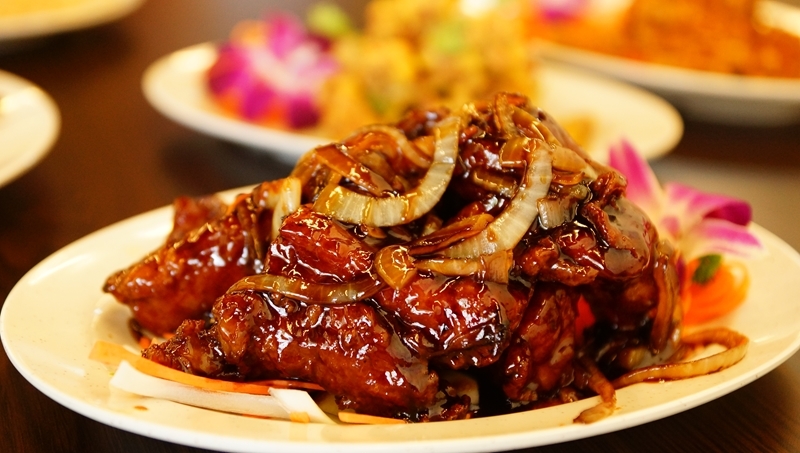 It is a good balanced combination of soul food with a mantra of impressing the diners with its flavourful delicacies.